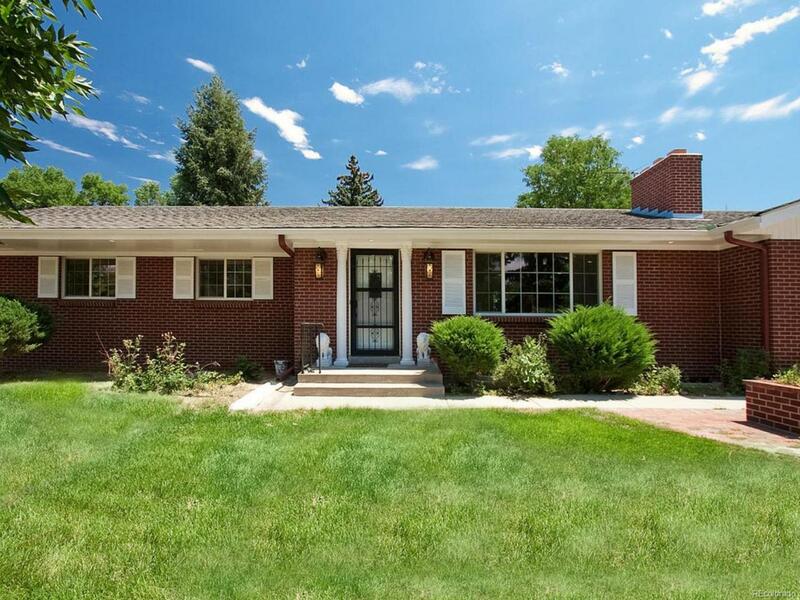 Wonderful ranch home located on an acre lot in one of Denver's most prestigious neighborhoods, Cherry Hills Village. Elevated in design, 4 bed/3 bath home was renovated in 2010 w/custom European artist-inspired details that include hand trolled plaster finished walls, beautiful iron arch features, all enhancing its elegance. Main floor offers a wonderful living room w/cozy fireplace, remodeled cook's dream kitchen with ample cabinetry, granite counters , stainless appliances and breakfast bar. Kitchen opens to the dining space that accesses the covered outdoor living space & amazing back yard. Master bedroom with the spa-like 5 piece master bath, 2 generous sized secondary bedrooms & full hall bath. Finished basement offers a guest bedroom, full bath, media/family room, custom designed bar, built-in wine racks, laundry room & addl storage. Renovation includes newer mechanicals, electrical, just to name a few. Live & enjoy or add a 2nd story to make this house your perfect home.